Every now and again life takes me by surprise. This week has been a case in point. I will explain. Several months ago, when I threw myself into the world of selling chillies, I wondered if I would be able to keep myself busy. Notwithstanding the ever-increasing amount of general chinwaggery and thoughtsharing that goes on with Jamie at the Wiltshire Chilli Farm, there is of course the small case of a living to be made. This generally means standing out in all weathers beseeching Joe Public to purchase our spectacular world-beating products, trying to stop short of actually begging and whimpering. Now I didn’t really think I’d be any good at it, or even want to do that side of the business, imagining myself to be more of a wholesaler type of cove. Imagine my surprise when I now realise that (a) I seem to be passably good at it, (b) on nice days when there are lots of fillies in short skirts at the market I love it, and (c) I now have just one – ONE – weekend free between now and Christmas, so no worries about keeping busy. That’s a bloody long way away, I can assure you, even though I suspect M&S are already filming their uber-sparkly-tinselly barf-fest of an advert. And, dear reader, that free weekend is this one coming. So will I be making the most of it? You bet your sweet bippy I am…I shall be departing from London’s St Pancreas station on Friday afternoon for a weekend of fine beer, chocolate, mayo frites and waffles in Brussels. Now being the aged bugger that I am it will be a civilised affair – plenty of sitting in bars watching the world go by whilst I put the world to rights with my mate Paul – and only trying the mind-cracking beers as a nightcap, sure in the knowledge that I can have a good lie down shortly afterwards. It’s a tried, trusted – nay, almost infallible – plan, which will have been mapped out with military precision by my partner in crime. I will be doing my best not to think too hard about chillies, but they sort of seep into most conversations these days. None of this will change your universe, as to be fair, it hasn’t mine. Unless you try the burger in Hove, in which case your lower intestine may dissolve. 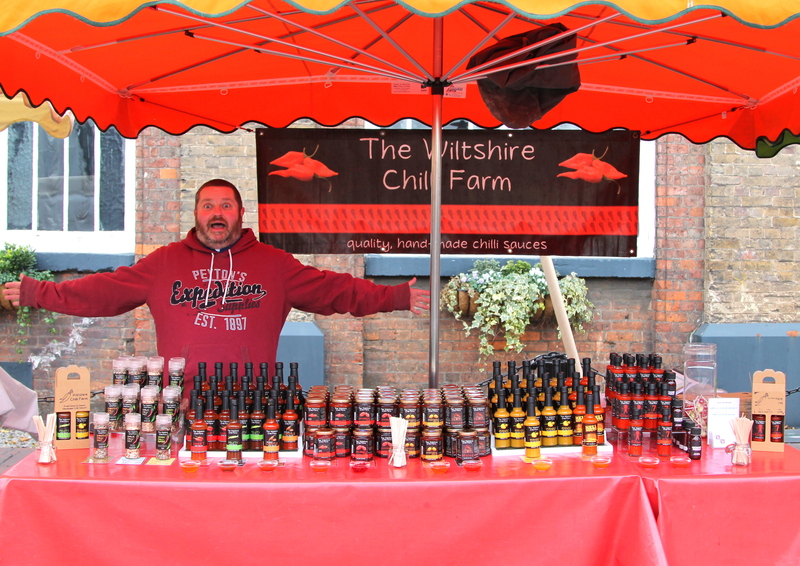 The good work of the Wiltshire Chilli Farm will, of course, continue unabated in my absence this weekend. Please feel free to hunt them down at markets and baffle them with logic and big words. Now, how do I say ‘Bunny Burner’s quite mild really – give it a try’ in Flemish? This entry was posted in General and tagged Brussels, Scoville units, WCF. Bookmark the permalink.